One of the reasons that so many of us love to use WordPress is its ease of setup. In just a few minutes, you can set up a blog and have it ready for your new content. CDN.net has much the same policy about setting up a CDN resource. Setup should be quick and easy so that you can get back to working on everything else that you’d rather be doing. Fortunately, there is a plugin for WordPress sites that allows for quick and easy integration into CDNs, including CDN.net. The plugin is W3 Total Cache, and I’m going to walk you through exactly how to set it up. Login to your WordPress site via admin login. To do this, you’ll want to add /wp-admin to the end of your hostname, and you’ll also need your admin credentials. The next thing to do is to hold the cursor over the Plugins, and then click on Add New. From here you’ll next need to search for and install w3 Total Cache. Then Activate it. There’s a handy blue button for that. and from there scroll down to the CDN section, where you’ll want to click on enable CDN, and select General Mirror as the CDN type. 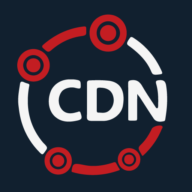 Now once you’ve gone and set up your CDN resource (you can find instructions for that here: https://help.cdn.net/hc/en-us/articles/213172585–New-CDN-net-How-do-I-set-up-a-CDN-resource-), You can go ahead and add the CNAME to W3 Total Cache by going to Performance&gt;CDN and entering your CNAME in the CNAME field. The final step is to go to Performance> General Settings one more time, and click on the check box at the top to enable all caching types. Not too bad at all as integration goes. We’re all done, and it’s time to get back to working on our blog so that we can get our content out to our viewers.